What is the Federal Emergency Management Agency? Simply put, it is the “secret government”. This agency has powers and authority that go well beyond any other agency in the nation. What can FEMA do? It can suspend laws. It can move entire populations. It can arrest and detain citizens without a warrant and can hold them without a trial. It can seize property, food supplies, and transportation systems. And it can even suspend the Constitution of the United States. When the first concept had been presented, its original mission was to assure the survivability of the United States Government in the event of a nuclear attack. It’s secondary function was to be a Federal coordinating body during times of domestic disasters. These disasters consisted of earthquakes, floods, and hurricanes. The “secret” black helicopters that are reported throughout the US, mainly in the West California, Washington, Arizona, New Mexico, Texas, and Colorado areas are flown by FEMA personnel. It has been given the responsibility for many new national disasters such as forest fires, home heating emergencies, refugee situations, riots, and emergency planning for nuclear and toxic incidents. It works together with the Sixth Army in the West. 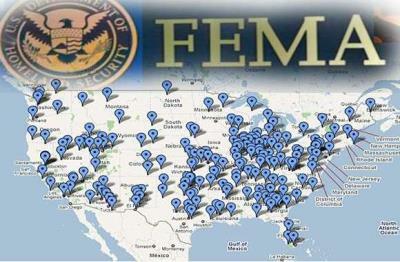 A series of Executive Orders (EO) was used to create FEMA. It does not matter whether an EO is Constitutional or not, it becomes a law simply by being published in the Federal Registry. These orders go around Congress. President Regan signed Presidential Director Number 54 in April of 1984 that allowed FEMA to activate a secret national readiness exercise. This exercise was given the code name REX 84. The purpose of the exercise was to test FEMA’s ability to assume military authority. REX 84 was so highly guarded that special metal doors were installed on the fifth floor of the FEMA building in Washington, D.C. The only people that were allowed to enter the premises were ones who had a red Christian cross on their shirt. The exercise required the following. Here is what I have found so far, and we will continue to update this list, for now, check out your state. Be sure to include the address of the facility! The photos below are from Nebraska. This facility is brand new, built less than 6 months ago. Vandenburg AFB – Rex 84 facility, located near Lompoc & Santa Maria. Internment facility is located near the oceanside, close to Space Launch Complex #6, also called “Slick Six”. The launch site has had “a flawless failure record” and is rarely used. Norton AFB – (closed base) now staffed with UN according to some sources. Tule Lake – area of “wildlife refuge”, accessible by unpaved road, just inside Modoc County. Fort Ord – Closed in 1994, this facility is now an urban warfare training center for US and foreign troops, and may have some “P.O.W. – C.I.” enclosures. Twentynine Palms Marine Base – Birthplace of the infamous “Would you shoot American citizens?” Quiz. New camps being built on “back 40?. 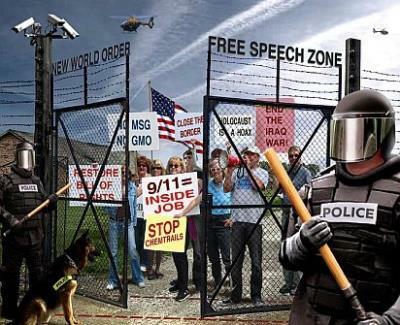 Oakdale – Rex 84 camp capable of holding at least 20,000 people. 90 mi. East of San Francisco. Terminal Island – (Long Beach) located next to naval shipyards operated by ChiCom shipping interests. Federal prison facility located here. Possible deportation point. Ft. Irwin – FEMA facility near Barstow. Base is designated inactive but has staffed camp. McClellan AFB – facility capable for 30,000 – 35,000 Sacramento – Army Depot – No specific information at this time. Mather AFB – Road to facility is blocked off by cement barriers and a stop sign. Sign states area is restricted; as of 1997 there were barbed wire fences pointing inward, a row of stadium lights pointed toward an empty field, etc. Black boxes on poles may have been cameras.